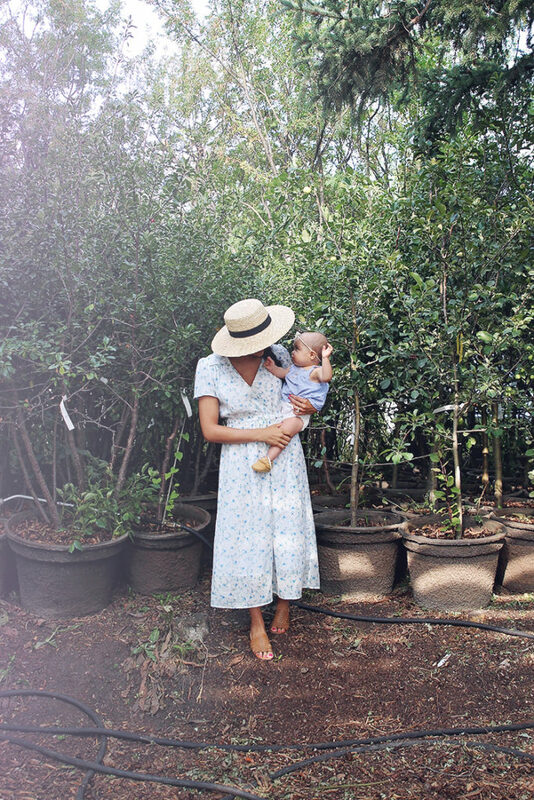 This post was done in collaboration with Baby Jogger. Summer is honestly my favourite time of the year. The sunshine, green grass and being outside all the time just makes my heart skip a bit. 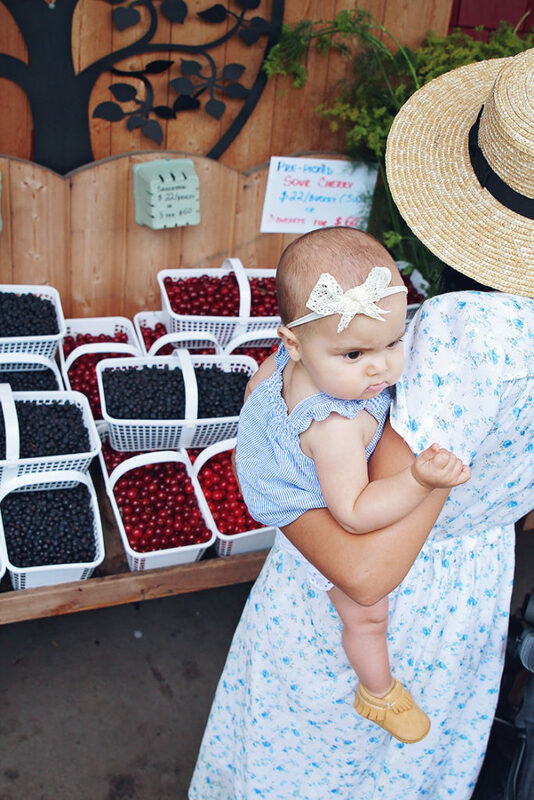 We also love nothing more than going for walks and enjoying all the beautiful things our city has to offer during the summer. 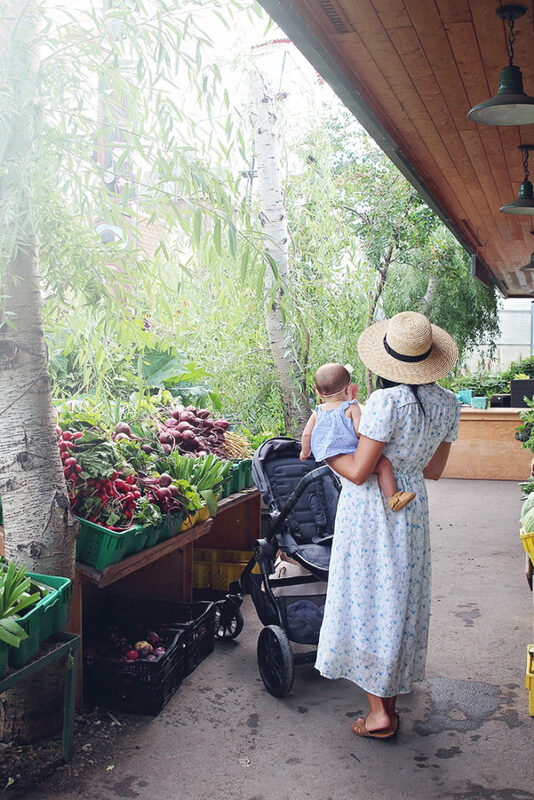 We love to visit the local nurseries and fruit and veggie farms as well as going to summer festivals. Anyone else love hard on summer like me? What are some of your favourite things about summer? 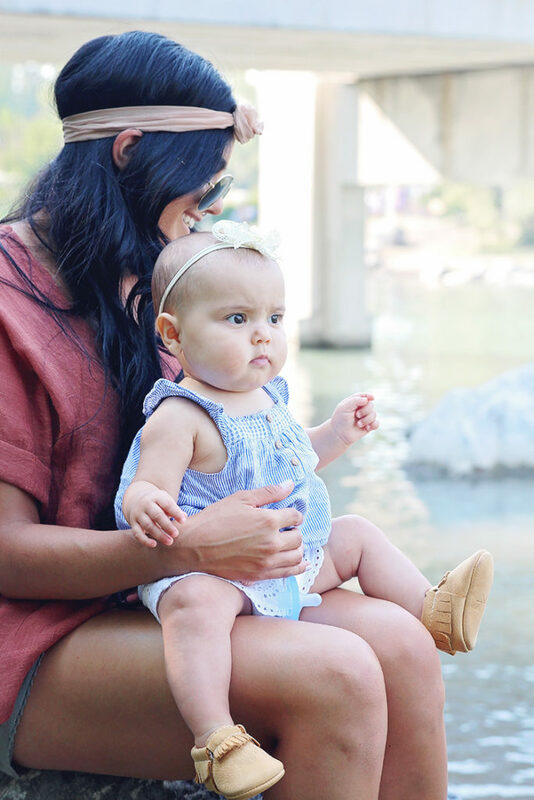 I can honestly say that having Harlow has gotten me out of the house more than before I had her! 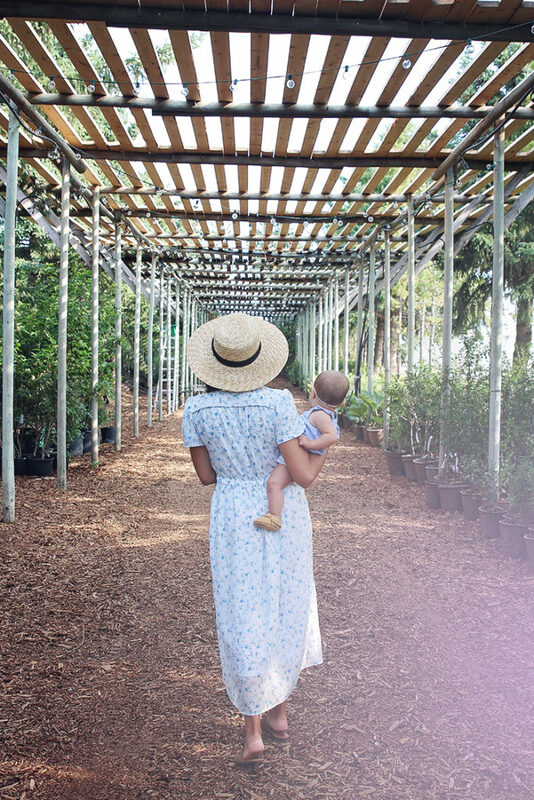 I swore I wouldn’t let becoming a mother slow me down and to be honest it has only encouraged me to get out and do and see more. We love exploring our city, taking day trips out to the mountains and frequenting our favourite local cafes and restaurants and we usually spend a lot of our day walking. We live right off of Fish Creek Park so getting out and strolling is something we do almost every single day. 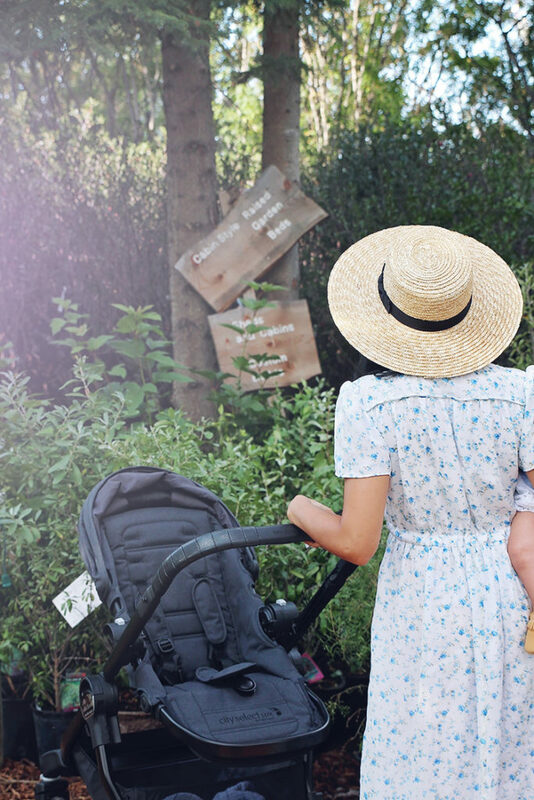 Being a mom doesn’t mean you have to stay at home and stop living and I can say one thing that has helped me as a mom has been having a stroller I’m confident about. 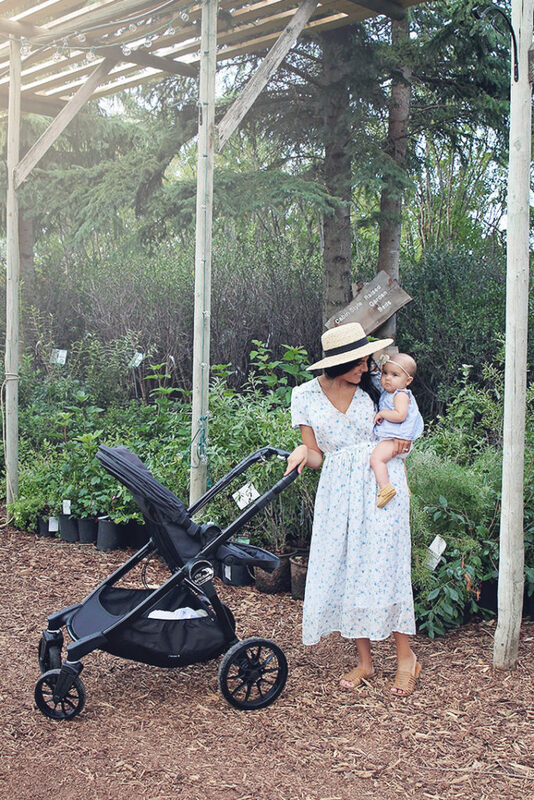 With my recent partnership with Baby Jogger I’ve been able to test out a couple strollers and share with you how I’m feeling about them. 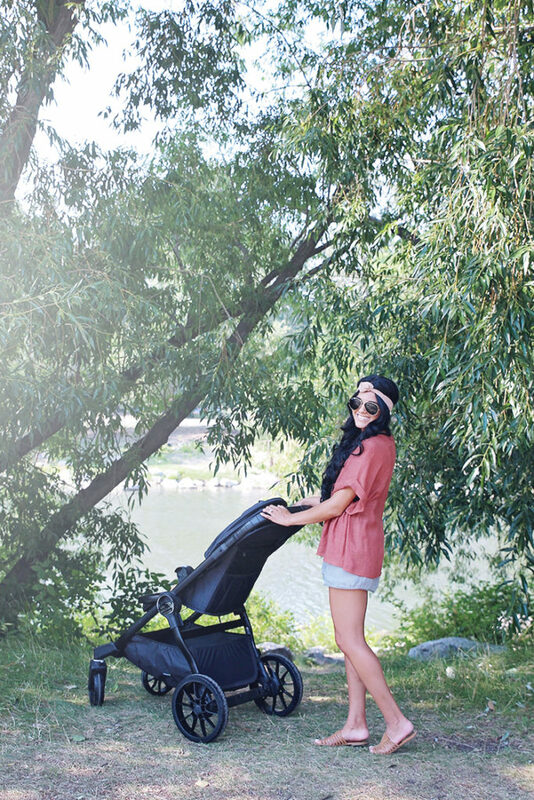 You may have seen all the things I have been loving about the City Select Lux on this Instagram post (the ride, how small it folds, the spacious basket, and all the accessory options to make my life easier) but the more I use it the more I’m loving it. Let’s not forget how beautiful it is too! I can’t help but also love how much Lady and Belle (our yorkies) enjoy the spacious basket when we go for walks too–lazy pups! 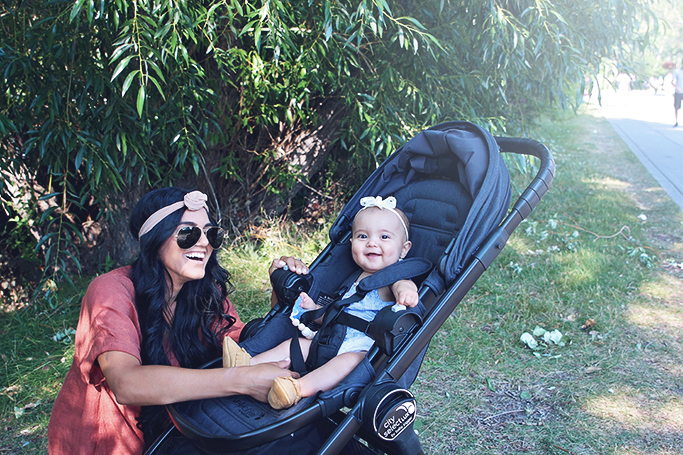 In comparison to the other strollers I own, the City Select Lux feels more luxurious and just rides so smoothly. 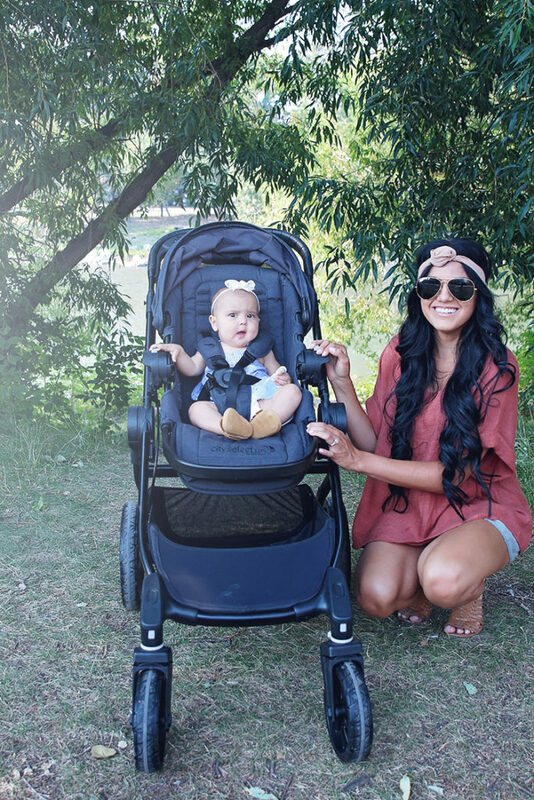 Make sure to stay tuned because Baby Jogger has so generously decided to give away a stroller to one of my very lucky readers. Be following us on Instagram so you don’t miss this announcement on how to enter. Get coffee + treats at our favourite Cafes (Alforno, Phil & Seb, Starbucks, and Henry and Debbies in the CFM). Thanks for stopping by and taking the time to read.